The Button-up Kaftan by Mango inspires calm and relaxation. 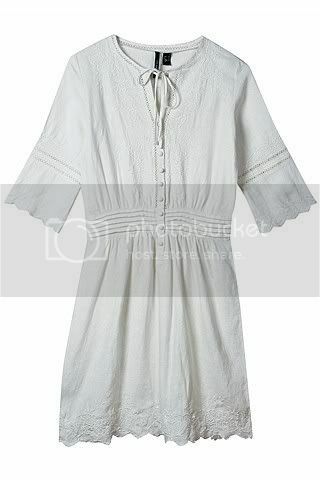 This is a versatile summer dress that can double as a tunic when the weather is less inviting. Wear this romantic piece with gladiator sandals for a contrasting touch or complete the pretty look with Mediterranean espadrilles. A beautiful piece that is reminiscent of the beach and utter tranquility. For more beach inspired solutions, click here.